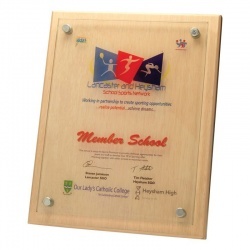 Stylish modern awards plaque made in light coloured wood with a jade glass plaque attached to the front via four metal pins. 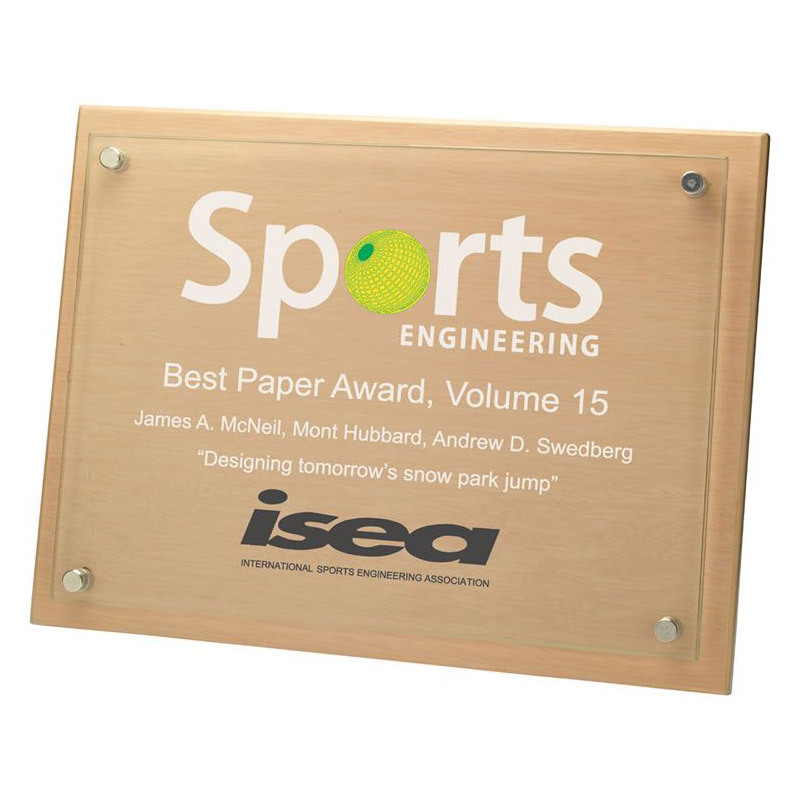 The outside dimensions of this striking awards plaque are 9in x 12in (229 x 305mm). They can be engraved in either landscape or portrait orientation. Also available in two smaller sizes - see Related Products, below. 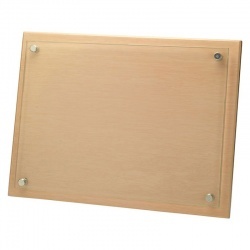 7x9in light wood plaque with 6mm thick jade glass plaque attached. 8x10in light wood plaque with 6mm thick jade glass plaque attached.